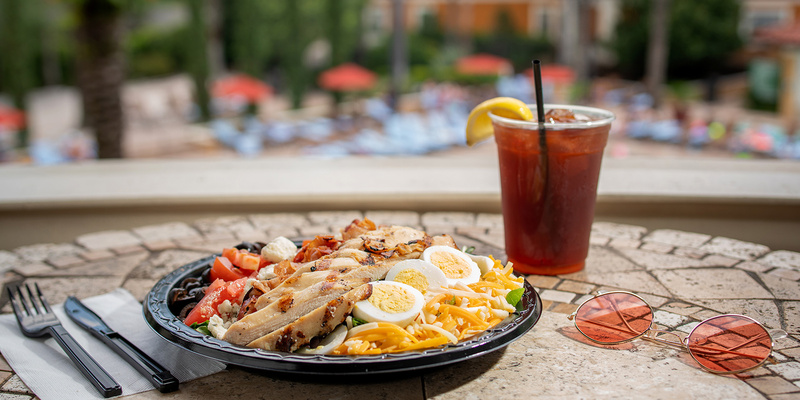 Enjoy the convenience of onsite restaurants and room service at Floridays Resorts Orlando. 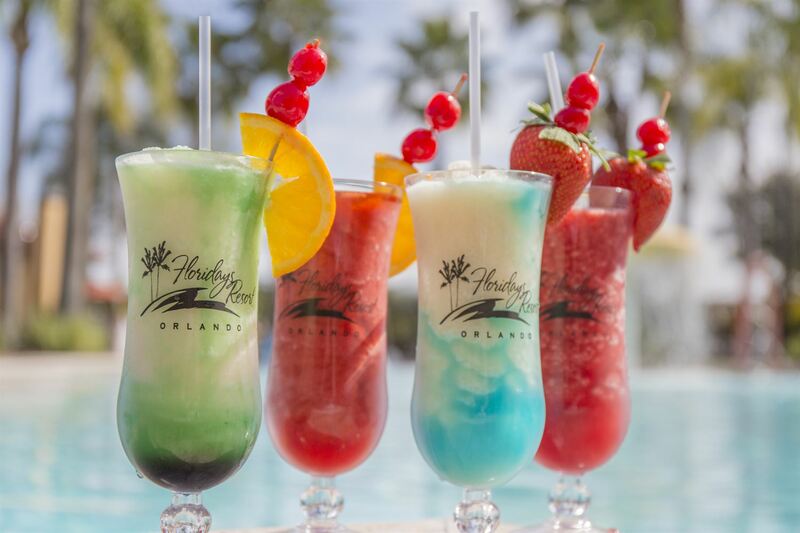 Imagine waking up to a freshly prepared breakfast in bed, or enjoying a refreshing drink at the Palm Cafe after a long day at theme parks. 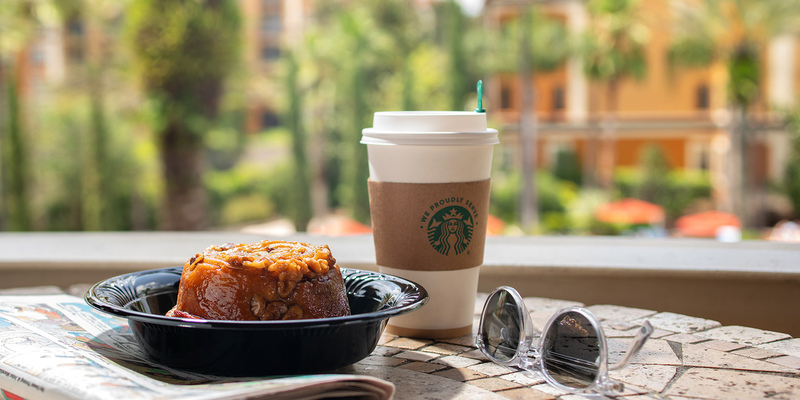 Start your busy day with Starbucks Coffee at the Palm Cafe and Marketplace. 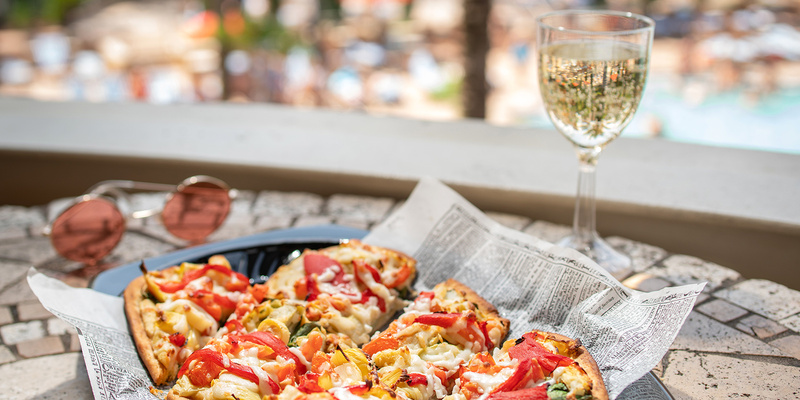 Savor the flavor of made-to-order pizzas and fresh salads, and enjoy the convenience of one stop shopping for toiletries and other essential items. 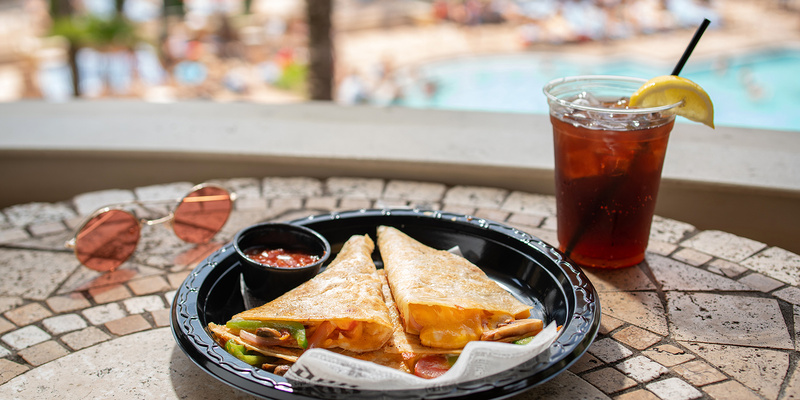 Experience the relaxation of being on vacation as we deliver any of the Palm Cafe menu items directly to your suite. 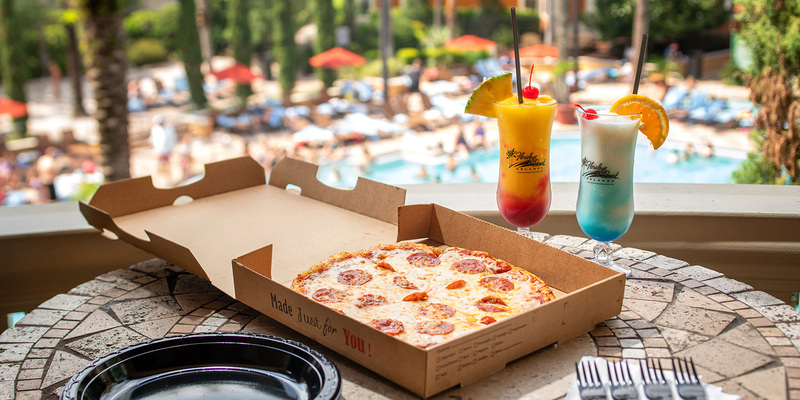 Simply dial 1047 to place your order. 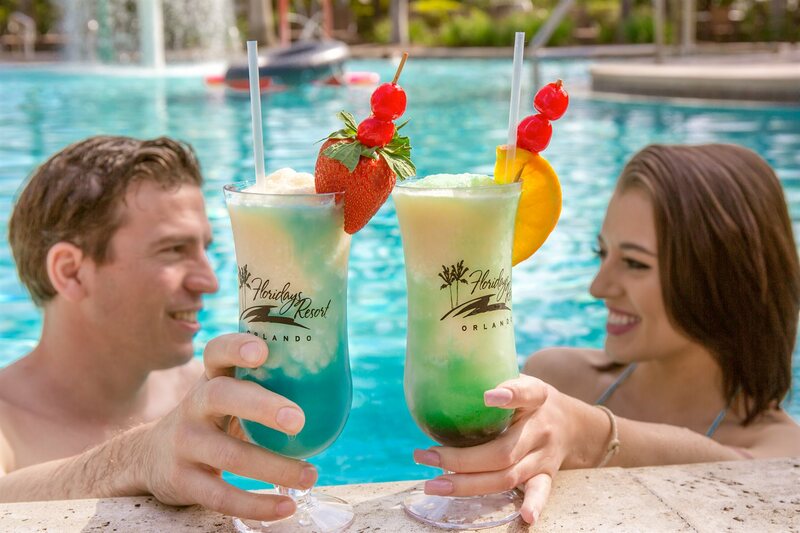 Lounging by the pool with your favorite snack or cocktail makes for a perfect afternoon in Orlando. 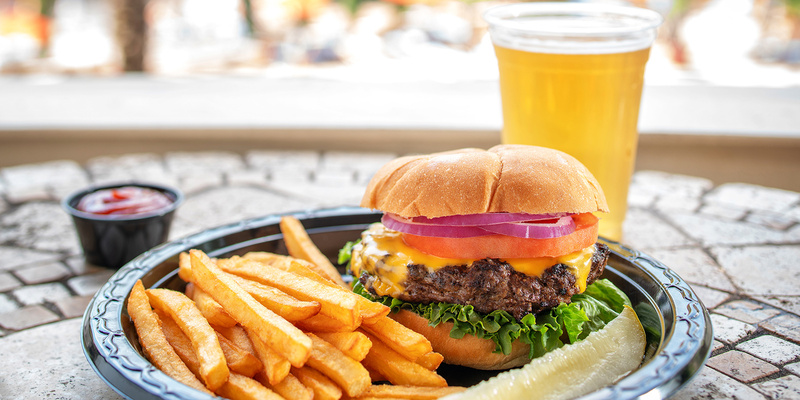 Catch up on our favorite sports team at the bar on one of the TV ‘s and enjoy your choice of burgers, wings, and pizza.